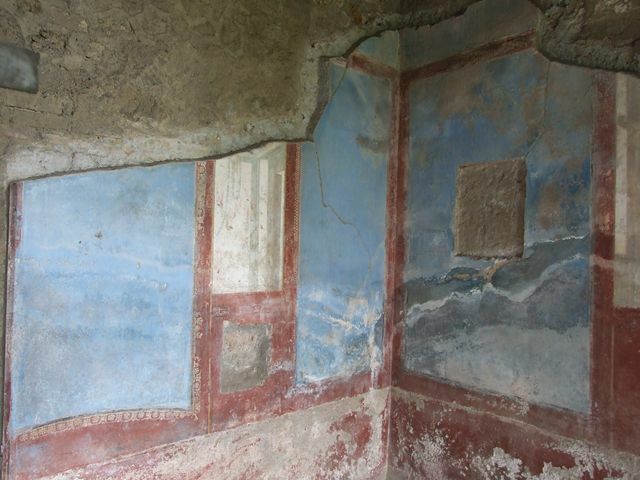 II.4.10 Pompeii. Rear entrance from kitchen and toilet. Complesso di Giulia Felice (Julia Felix) or Praedia di Giulia Felice. Linked to II.4.2, II.4.3, II.4.11 and II.4.12. 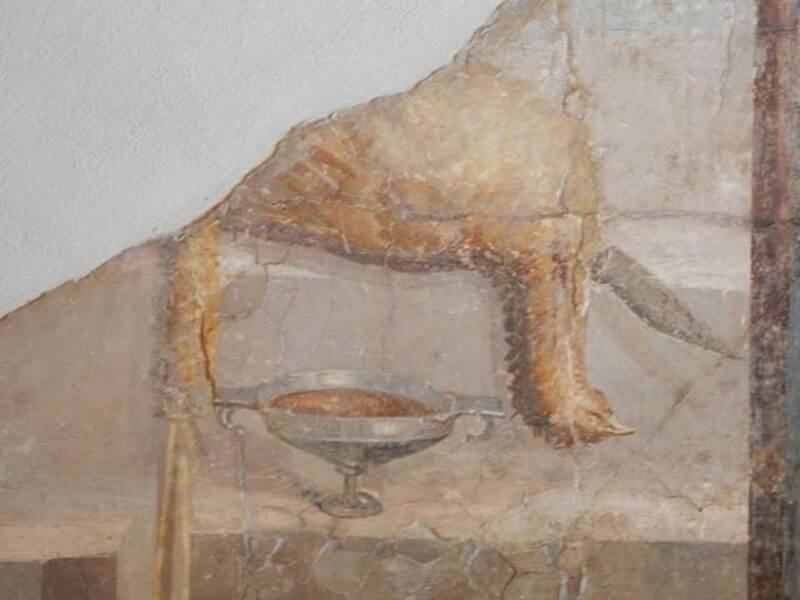 II.4.10 Pompeii. 1964. 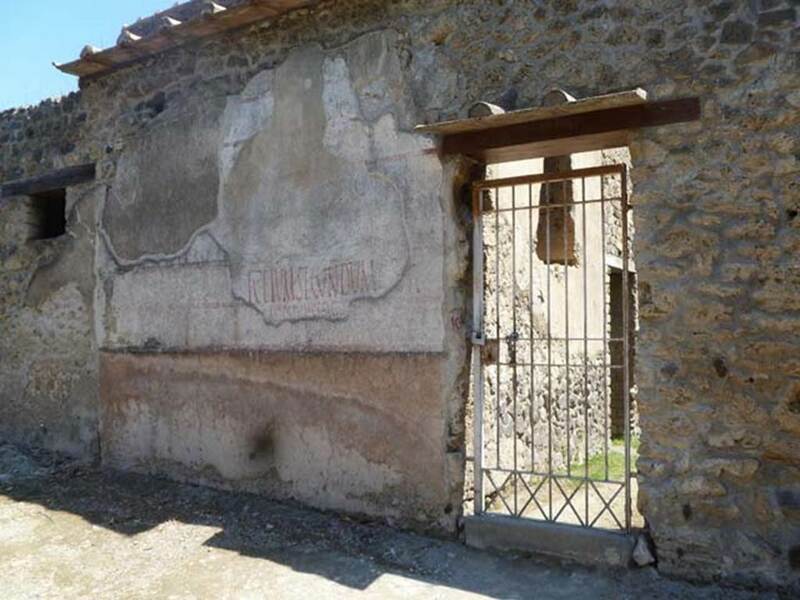 Exterior west wall (without showing any of the graffiti underneath), and entrance doorway. 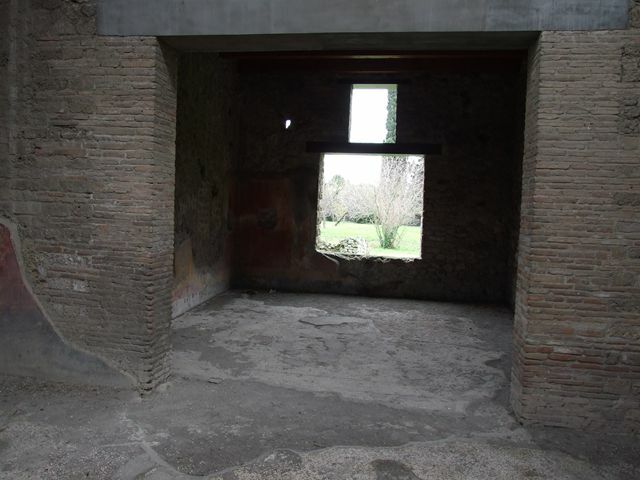 II.4.10 Pompeii. May 2011. Exterior west wall on north side of doorway, showing multiple layers of graffiti or painted plaster. L. Ceium Secundum aed… can be clearly read. 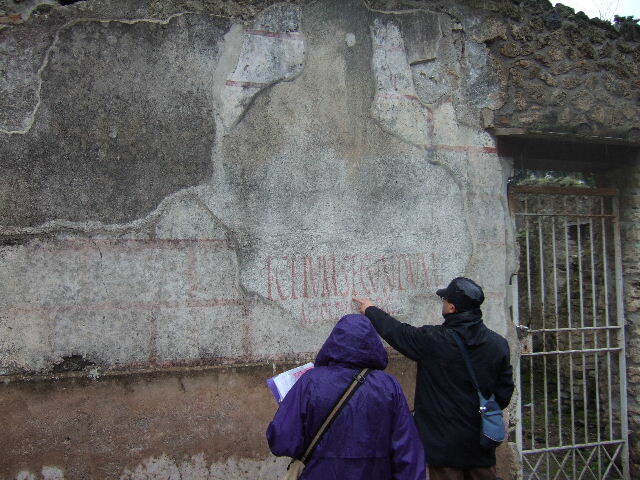 II.4.10 Pompeii. December 2005. Exterior west wall on north side of doorway, showing multiple layers of graffiti or painted plaster. II.4.10 Pompeii. December 2005. Entrance doorway. 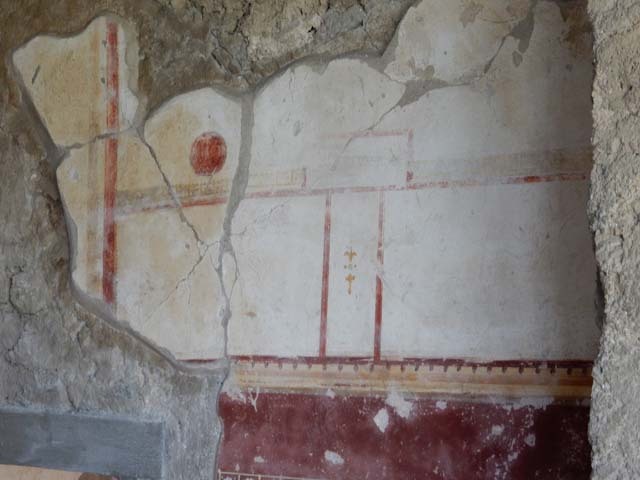 II.4.10 Pompeii. May 2016. 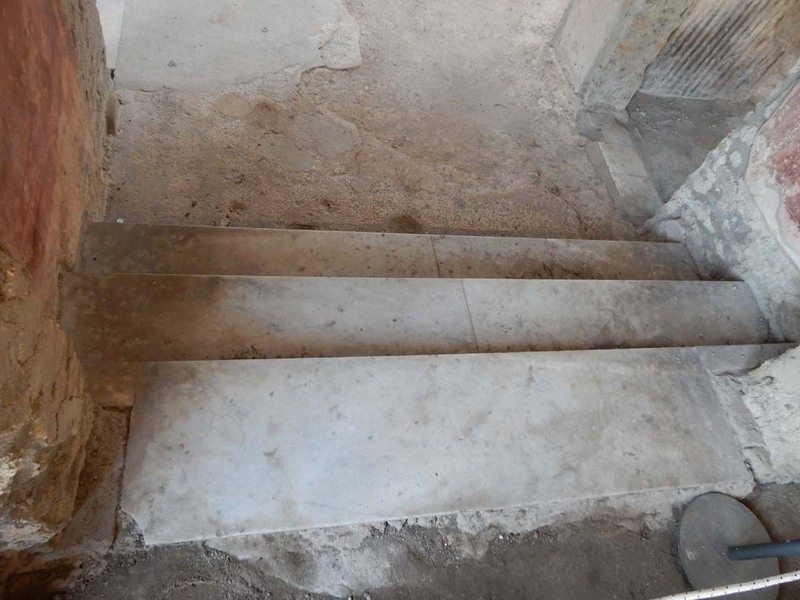 Steps down from west portico of II.4.6. Photo courtesy of Buzz Ferebee. 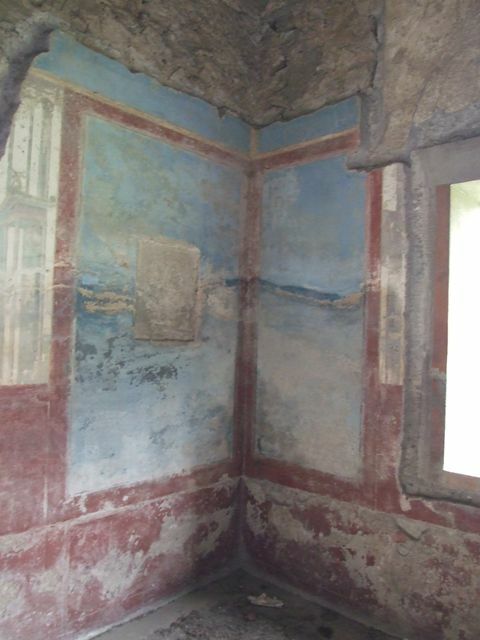 II.4.10 Pompeii. May 2016. 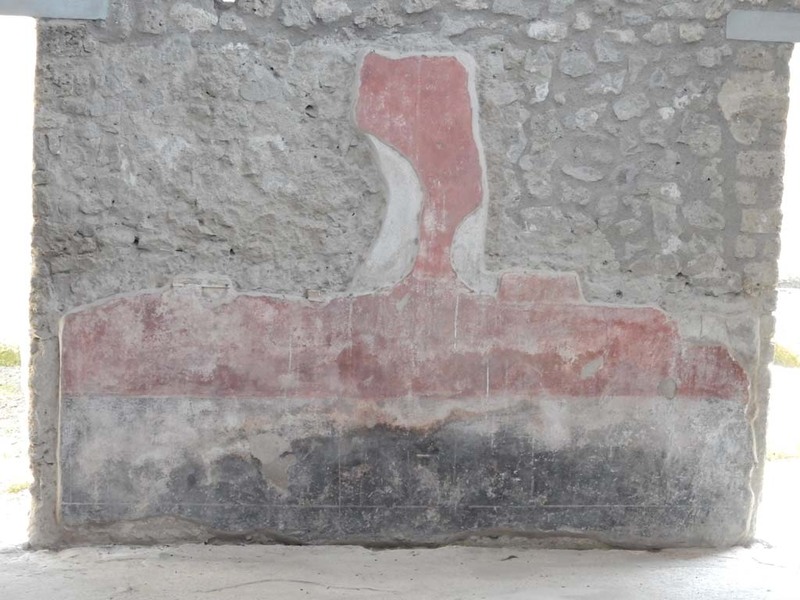 Painted decoration on east wall near steps from west portico. Photo courtesy of Buzz Ferebee. 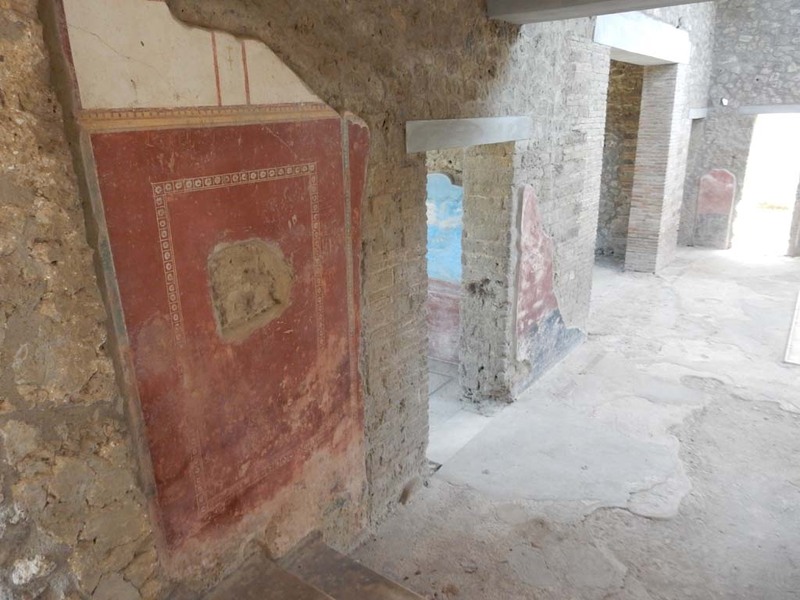 II.4.10 Pompeii. May 2016. Detail of painted decoration on east wall near steps from west portico. Photo courtesy of Buzz Ferebee. 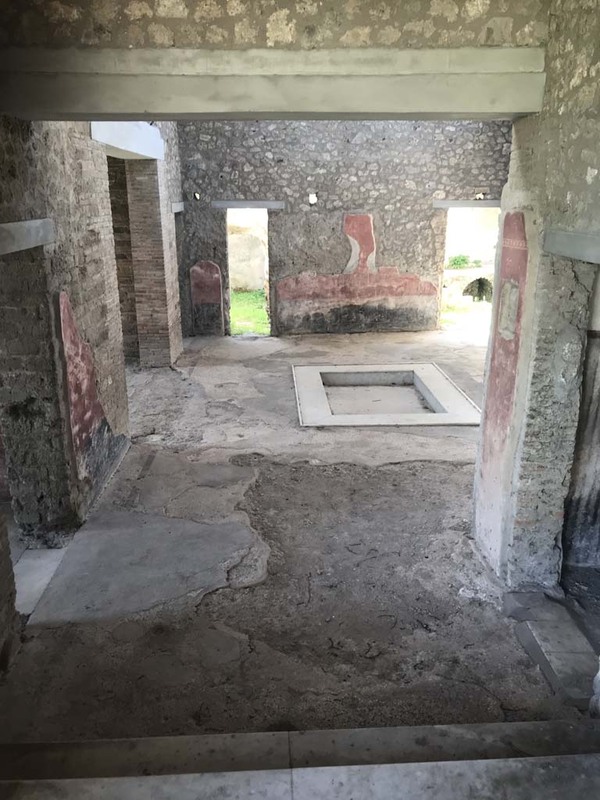 II.4.10 Pompeii. May 2016. Painted decoration on west side of steps from portico. Photo courtesy of Buzz Ferebee. 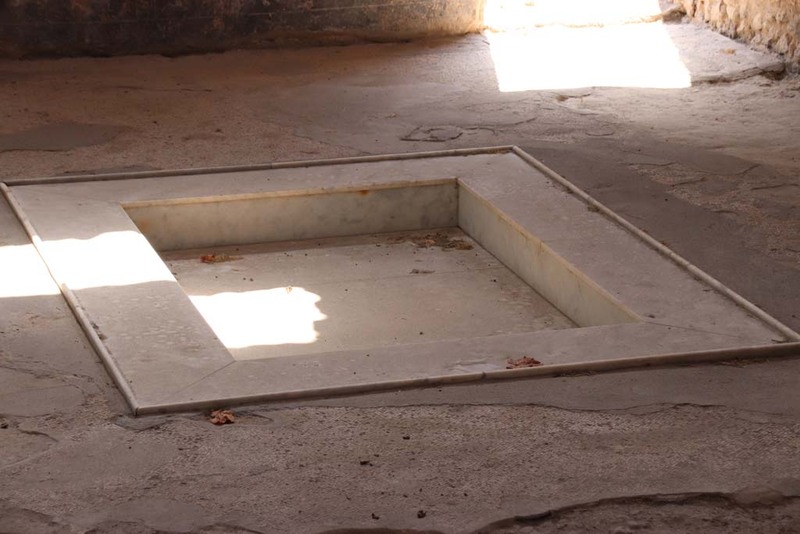 II.4.10 Pompeii. May 2016. Detail of painted decoration on upper west wall at side of steps from west portico. 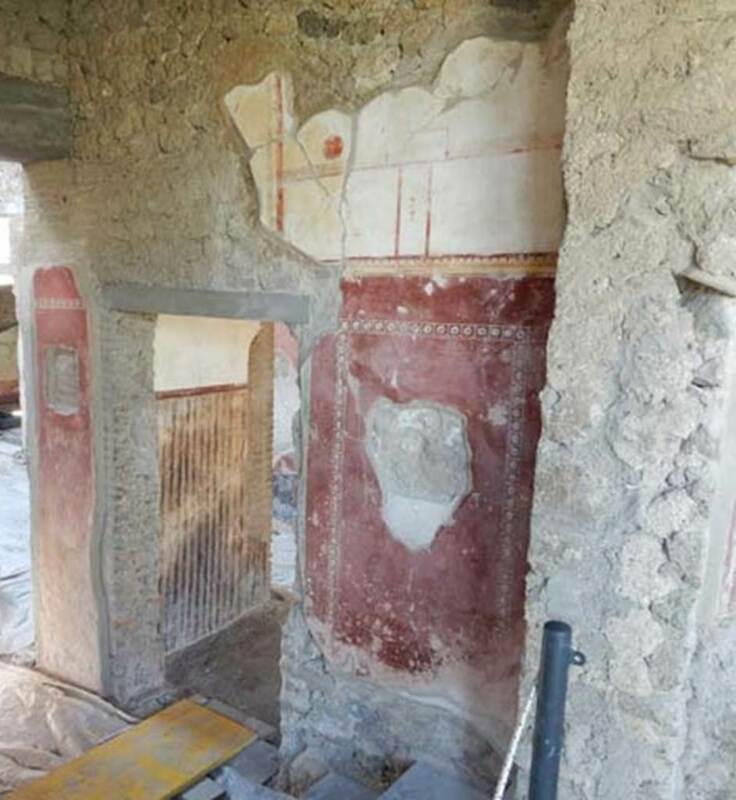 II.4.10 Pompeii. May 2016. Detail of painted decoration on west wall of steps from west portico. Photo courtesy of Buzz Ferebee. 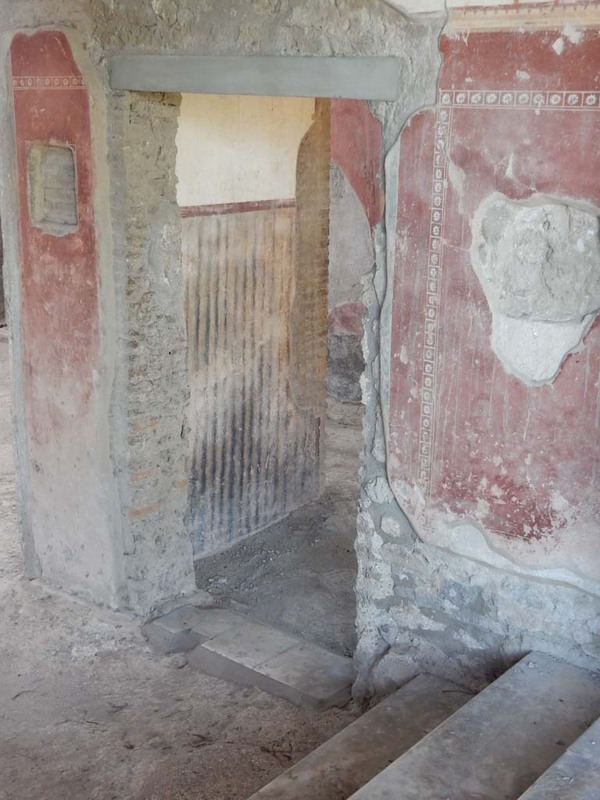 II.4.10 Pompeii. December 2006. 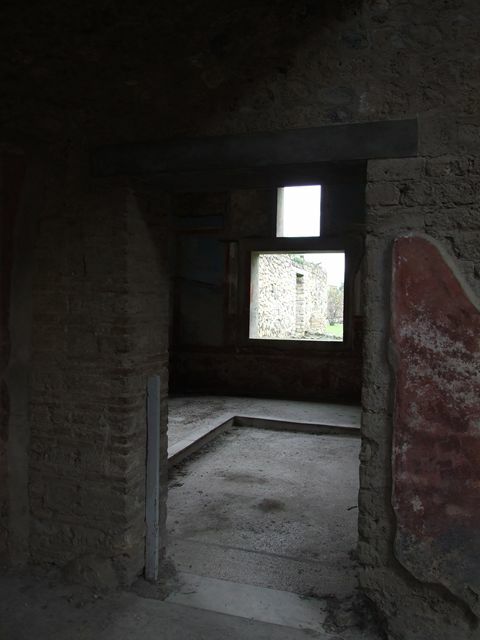 Doorway to biclinium, looking east. 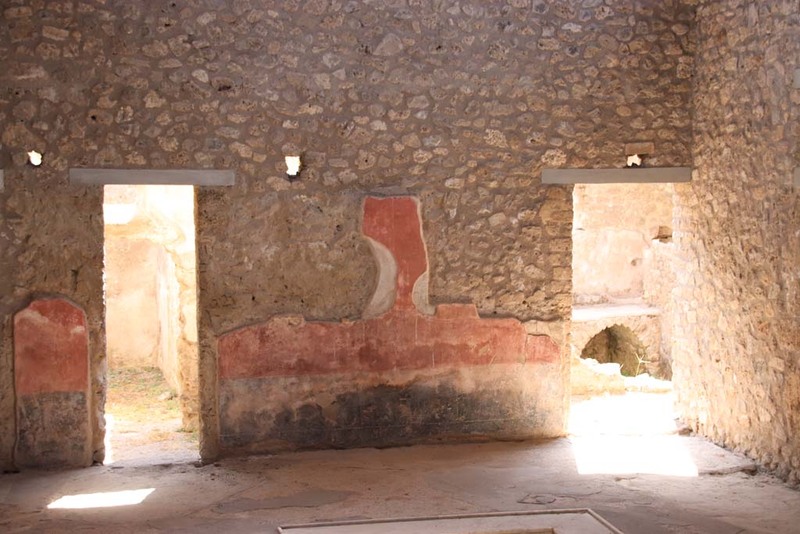 II.4.10 Pompeii. Found 22nd June 1755. 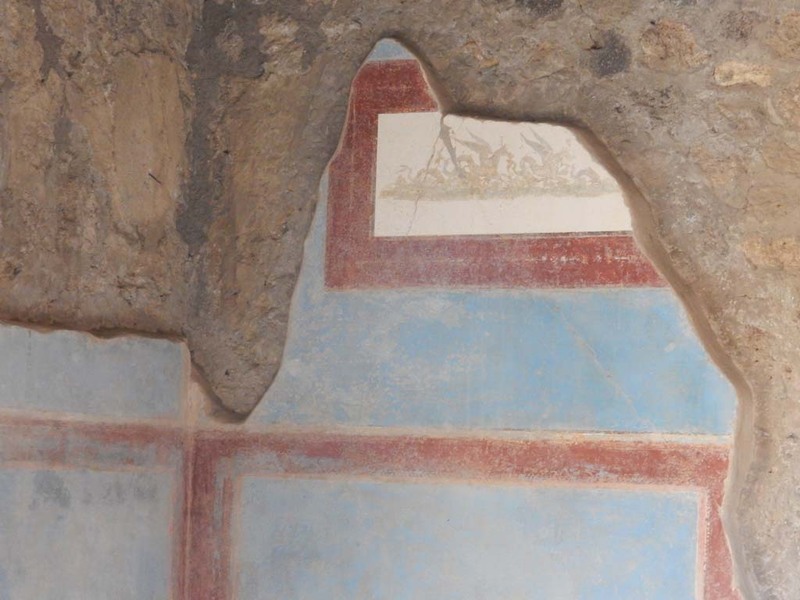 Wall painting with symbols of Dionysus. Now in Naples Archaeological Museum. Inventory number 8795. 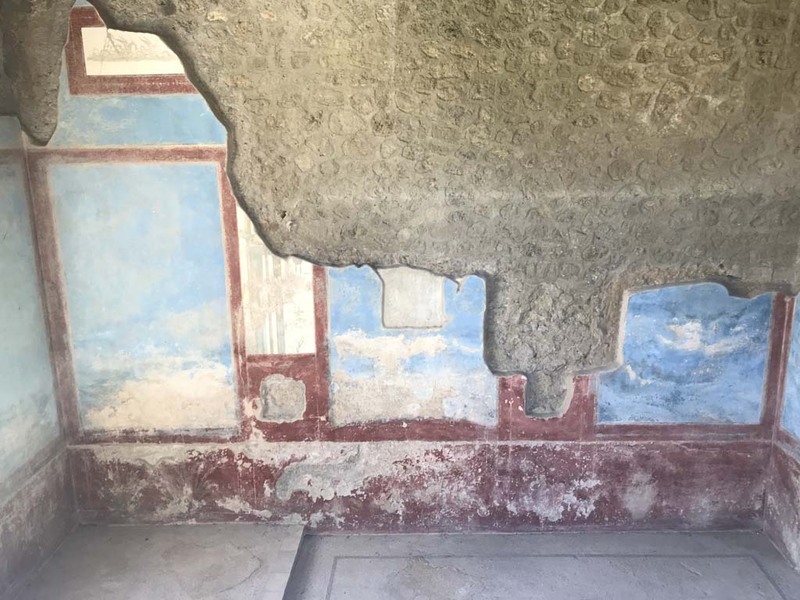 According to Parslow, this painting most probably came from the biclinium as the blue background matches the remaining walls of the room. 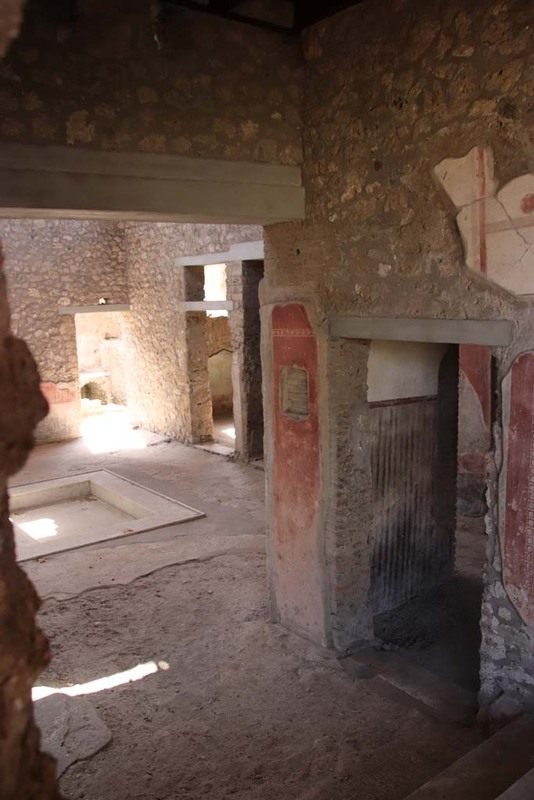 II.4.10 Pompeii. 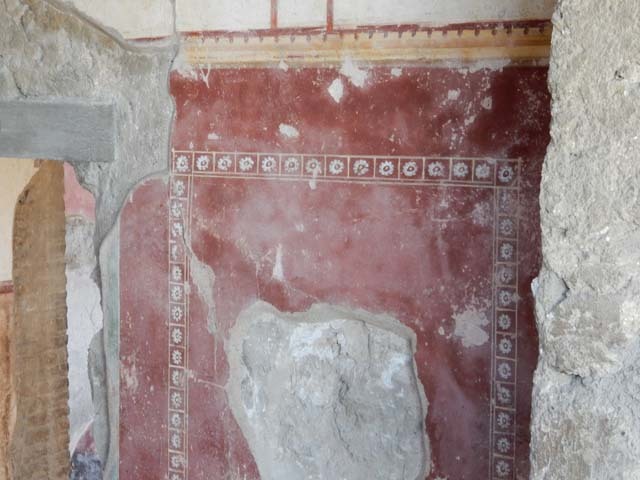 Wall painting with symbols of Dionysus. 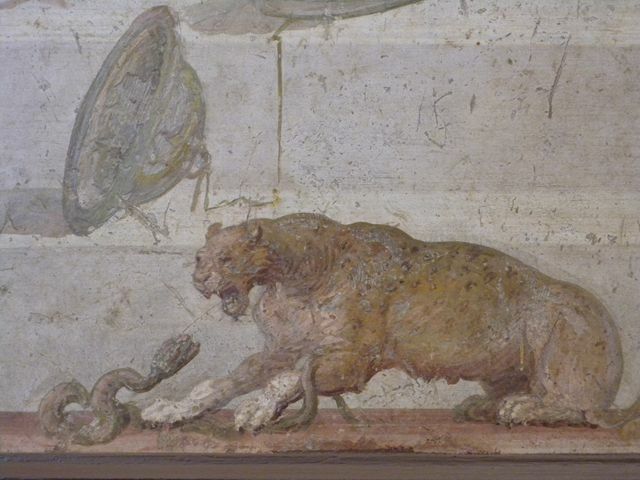 Detail of panther attacking snake. 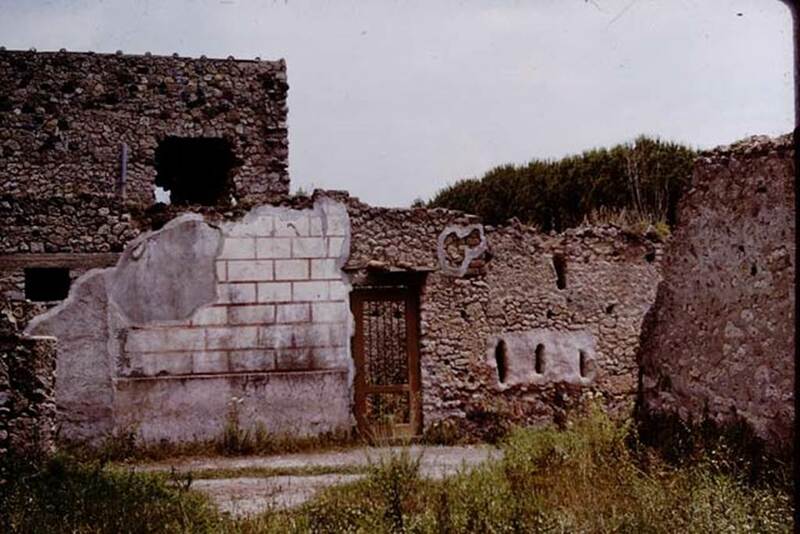 II.4.10 Pompeii. December 2006. Biclinium. 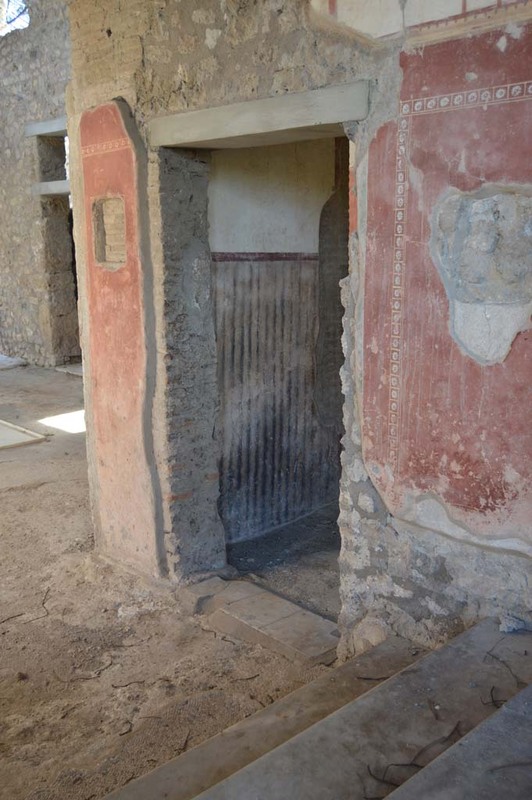 II.4.10 Pompeii. December 2006. Doorway to tablinum, looking east. 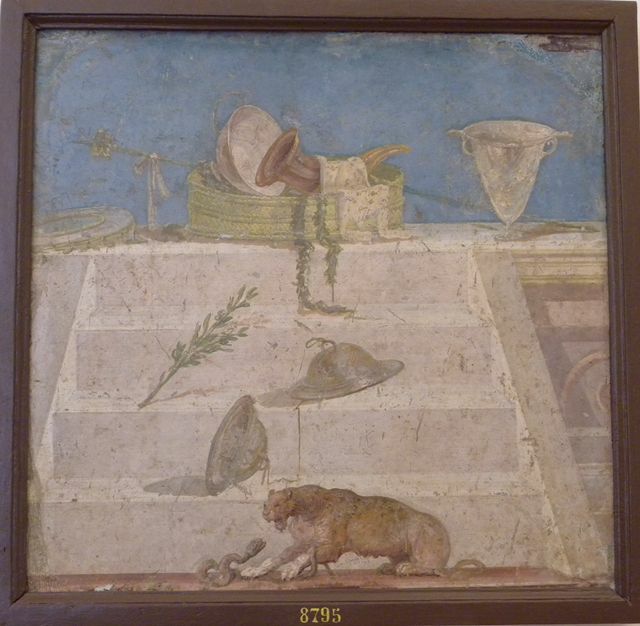 Wall painting of two still-life panels including a dead game bird and a glass bowl filled with fruit. Found 6th July 1755. Now in Naples Archaeological Museum. Inventory number 8611. 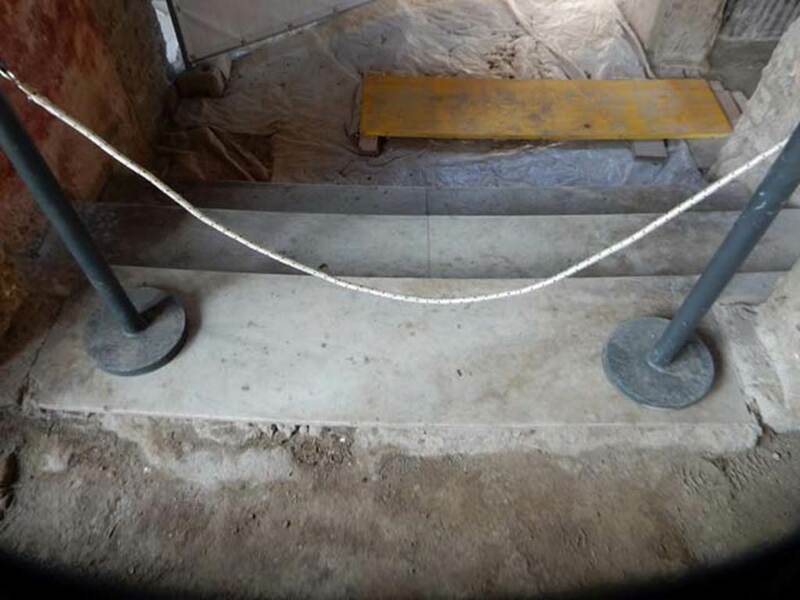 According to Parslow, these were removed from the tablinum, together with the entire north wall. II.4.10 Pompeii. May 2016. Tablinum. II.4.10 Pompeii. May 2016. Detail from left side of panel. Photo courtesy of Buzz Ferebee. II.4.10 Pompeii. May 2016. Detail from right side of panel. Photo courtesy of Buzz Ferebee. II.4.10 Pompeii. 1957. 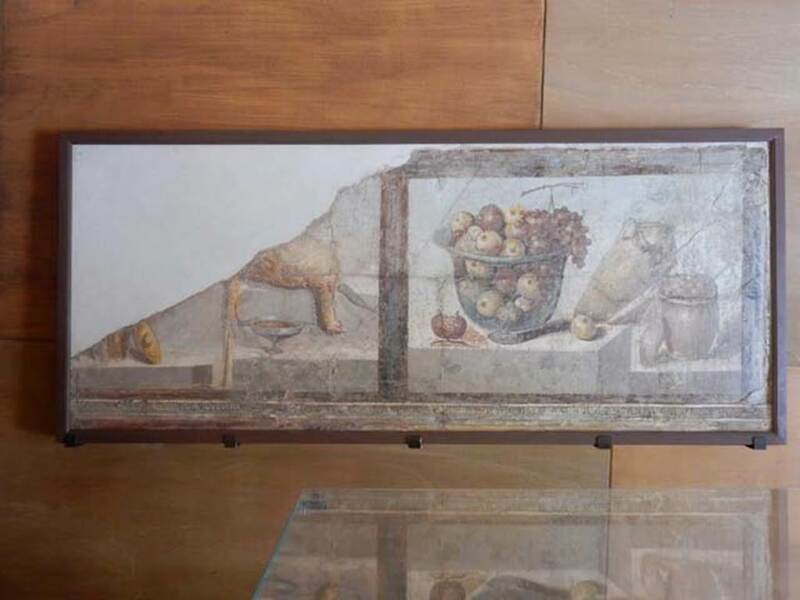 Frieze from north wall of tablinum, crater of glass full of fruits, and terracotta pots. II.4.10 Pompeii. 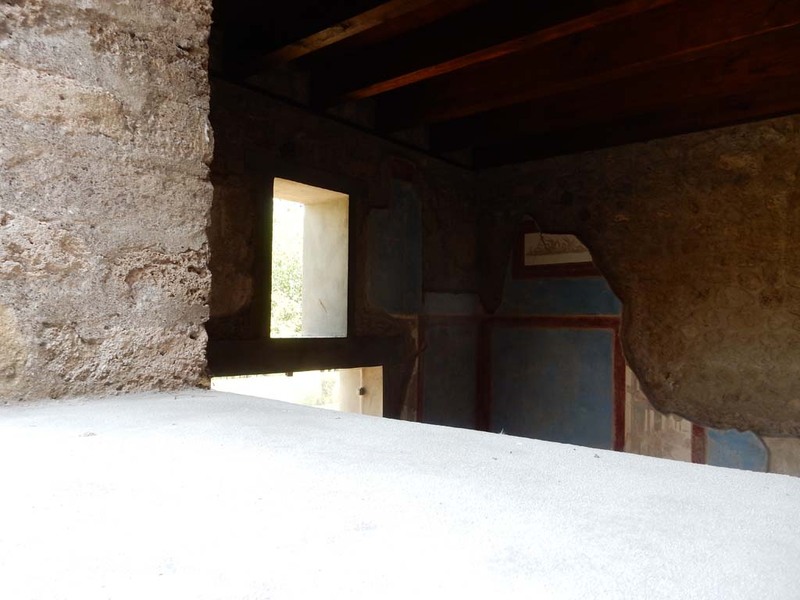 South wall from tablinum of Praedia di Giulia Felice (Julia Felix). Found 13th July 1755. Now in Naples Archaeological Museum. Inventory number 8598. II.4.10 Pompeii. 1792 engraving by Filippo Morghen of south wall of tablinum. Now in Naples Archaeological Museum. Inventory number ADS 77. 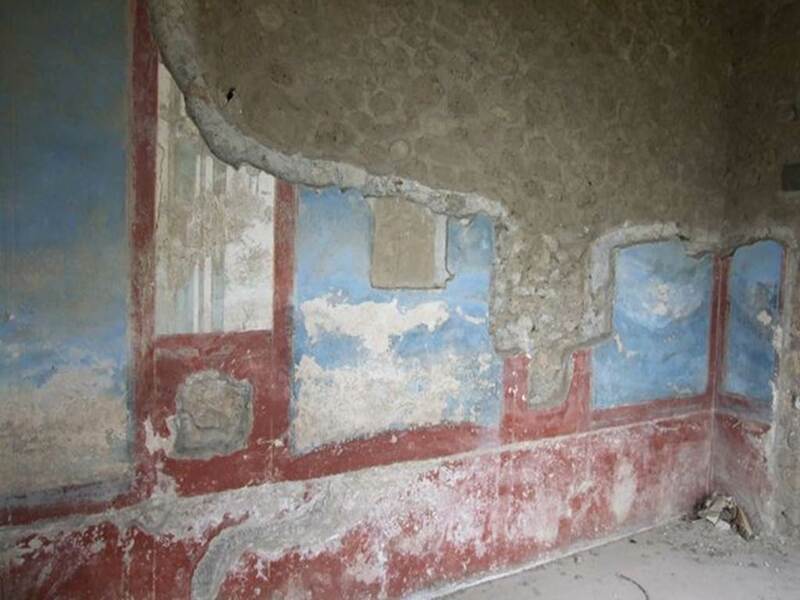 The wall was detached and taken to Naples Archaeological Museum. II.4.10 Pompeii. 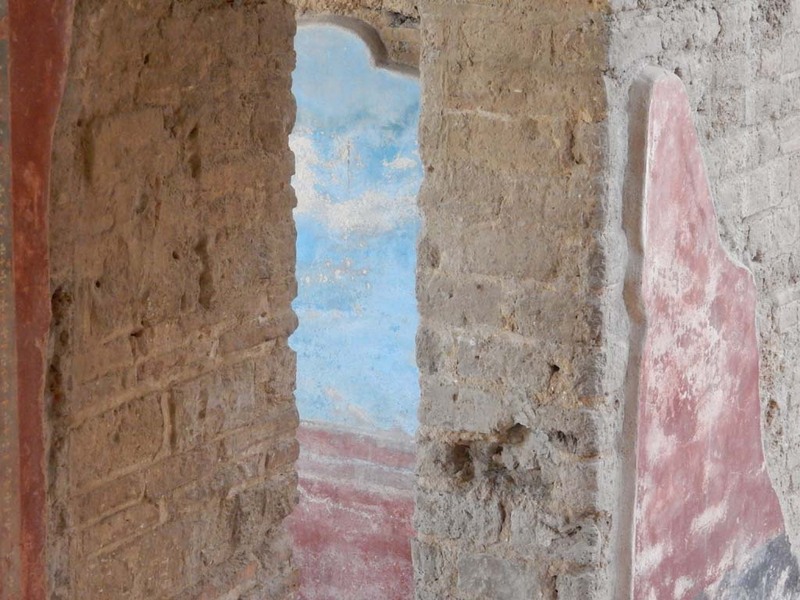 Detail of wall from tablinum of Praedia di Giulia Felice (Julia Felix). II.4.10 Pompeii. Detail of panel from wall of tablinum of Praedia di Giulia Felice (Julia Felix). Now in Naples Archaeological Museum. 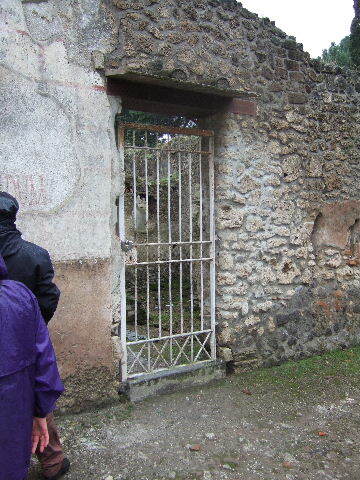 II.4.10 Pompeii. 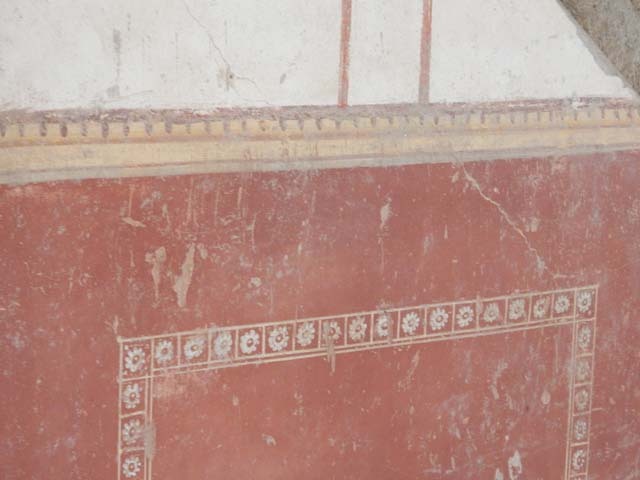 Detail of wall from tablinum of Praedia di Giulia Felice (Julia Felix). Now in Naples Archaeological Museum.